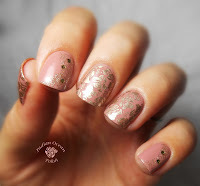 I've been meaning to make a tutorial for nail stamping for quite some time now. I'd been focusing on making tutorials for more complicated techniques, and realized that I had been neglecting the one that I use more than anything else..... and therefore (I hope) have a lot of wisdom to offer. For those that don't know nail stamping is a technique that allows you to transfer pre-designed patterns and images onto your nails. Hard to explain without pictures so scroll down a tiny bit to see the tutorial. It's a very easy and fast technique once you get the hang of it to create beautiful nail art. All you need is a stamping plate (This has the designs engraved into it), nail polish, a plastic card (to scrape excess polish from the plate) and a rubber stamper to transfer the nail polish from the engraved plate to your nail. Using a topcoat before stamping has another advantage. If you make a mistake, you can carefully use an acetone soaked cotton pad/qtip to remove the stamped polish. I have heard that if you are quick, rubbing alcohol can be used too (Although I've not yet tried). It apparently can remove wet polish, but not dried polish. Have all the utensils cleaned and easy to pick up before you begin. Especially the stamper- once you scrape you will need to press the stamp onto the image ASAP! Also, on scraping, you need to perfect the pressure that you scrape with. Too hard and you will remove too much polish from the indented image on the plate but too soft and there will be excess polish around the image. I scrape at an approximately 45 degree angle (a smaller angle is better than larger). 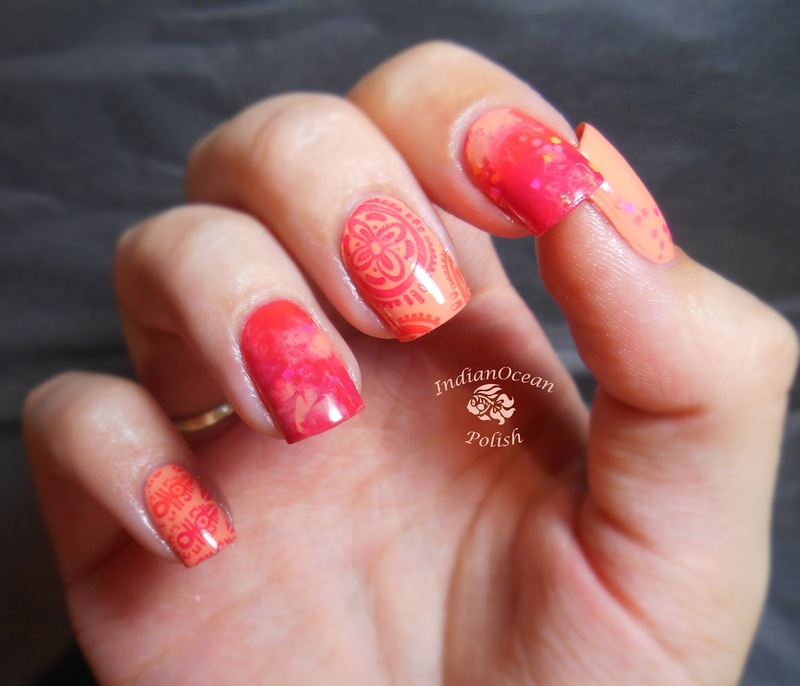 After picking up the design on your stamp, before you transfer to your nail, always check that you have picked up the whole image, and don't have excess polish. When you purchase a Konad stamper it will come with a little plastic and metal scraper (see image under Stampers, Konad). I highly recommend using a plastic card instead- ie. a store card, used gift card, etc. You have a larger surface to scrape with so it's easier, and it won't scratch the plate like the Konad metal scraper. After you purchase a nail stamper, they usually need to be filed with a nail file slightly. This creates a little bit of texture to pick up the image. Do it bit by bit to avoid over filing (File a little bit, try stamp.... and if you are still having issues picking up the image, file a little more). When stamping the plate to pick up the image I press straight down once. Practice Practice Practice!!! Practice makes perfect they say.... Don't give up straight away if it doesn't work the first time. Also, with more practice you will get faster at the whole process, which tends to improve the quality of the stamping..... and of course saves you time. Other than a plain coat of polish, this is (for me) the quickest easiest nail art. 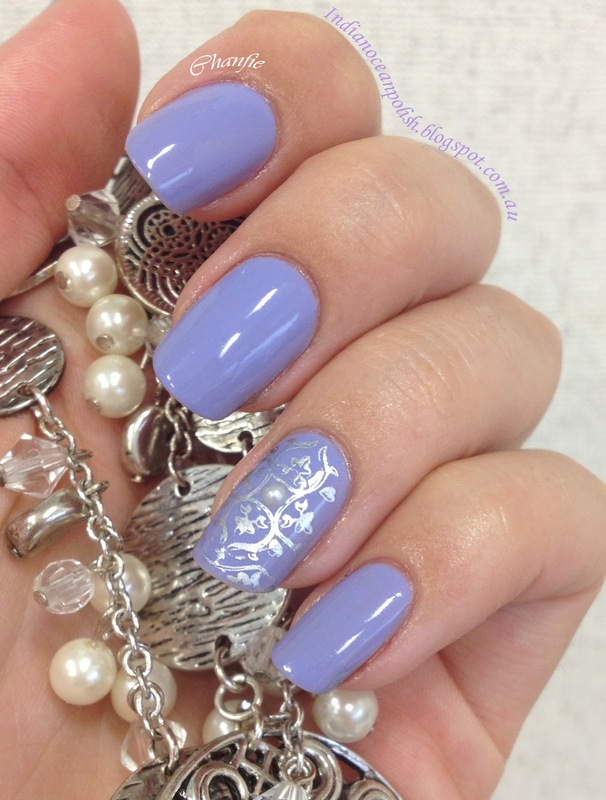 Which Nail Polishes Can Be Used For Stamping? I think it's worthwhile to purchase some of the special Konad stamping polishes when your starting out (available through Konad here , on Ebay here. ). I would recommend at least getting the white and the black. Do stay away from the gold and silver - I don't own them personally, but have heard they aren't very good. I find the pastels and the darker colours great. The pastels show up well over most backgrounds (they are very opaque) and the dark colours (ie dark blue, dark brown) look great over any background that isn't super dark. The in-between colours such as red and orange don't work very well over anything but a very light background unfortunately. If you don't want to fork out the money for these polishes, don't worry as lots of normal polishes work just fine. If it's a polish that requires just one coat to look opaque on your nails it will most likely work. Many of the Sally Hansen Insta Dry and Xtreme Wear polishes stamp great and most of my China glaze polishes stamp very well too. If you like the look of stamping with a metallic polishes, the China Glaze Romantique collection and Khrome collections stamp very well. The Essie Mirror Metallics collection is also good, but I would stay away from these when first starting out as they dry particularly fast as your trying to stamp. There is a rather long list here of polishes other than Konad that stamp well. As mentioned in the tutorial, it is very easy to smear the stamped design when you add a top coat, and you definitely want to add a top coat or the design will start to flake away, especially after showering. Make sure that you wait at least a few minutes before adding a top coat.... the longer the better. Then also make sure you use a generous amount of top coat and try to only go over each part of the nail only once, and very lightly. (If you miss a bit of your nail wait for the top coat to dry and then apply more). Also, some top coats, no matter how carefully you apply them, will smear the design. Sally Hansen Mega Shine top coat is horrible for this! Sally Hansen Diamond Flash fast dry top works fine. I always stick to Seche Vite and it works a charm so long as I apply thickly. Seche Vite is readily available on ebay. I have tried the Poshe top coat and not had a problem, I just prefer Seche. Also, Konad makes a special stamping top coat that a friend of mine swears by. With both the top coat and stamping polishes, if you don't want to go out and buy new products, have a play around with the polishes you already own to find out which will work. There are pros and cons to both of the stampers that I use. 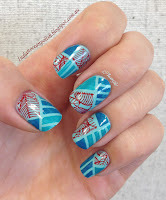 When starting out with nail stamping I would recommend the Konad stamper as it picks up the images from stamping plates a lot better and easily, and this is the most important thing to master with nail stamping. 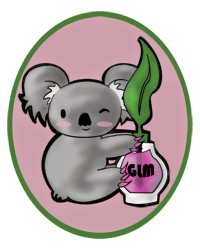 When I started nail stamping I purchased all of my equipment from Konad (Australian distributor here). You will generally need to use a nail file to roughen the surface of the rubber stamp very slightly before you use it (File a little bit, try stamp.... and if you are still having issues picking up the image, file a little more). The Konad stamp is definitely the easiest stamper to use in the sense that it picks the images up well. It also makes the designs look the best - as it evenly picks up the polish with no gaps like the XL stamper (review below). However, the application process with this stamper can be tricky. It is very firm, and therefore, due to the curvature of your nails, if using a full nail stamp, you will need to roll the stamper over your nail, one side to the other (you can’t just press it onto the middle). Roll is in bold because it's very important! I find that if my nails are longer, I have trouble getting the image on the outer edges of the tip of my nail as they sort of bend and the stamp doesn't press hard enough (if you are running into this issue I recommend trying the XL-Stamper- read below). Also, when using small full nail images (i.e. they only just fit on your nail, if you line them up perfectly) I have trouble trying to line up the image on the side of the nail. I usually end up with the image shifted to one side, so there will be a gap between my cuticle and the image on one side. To avoid this problem, if you are starting out with nail stamping stick to image plates that have larger images to avoid this problem (The Cheeky 2013 jumbo plates, Dashica Beauty big SDP plates, XL jumbo plates, DRK A, B C....etc. see the stamping plate section below for more info!). There are situations when I used this stamper, and other times when I need to use the Konad stamper. This stamper is very different from the Konad stamper. It's very squishy. 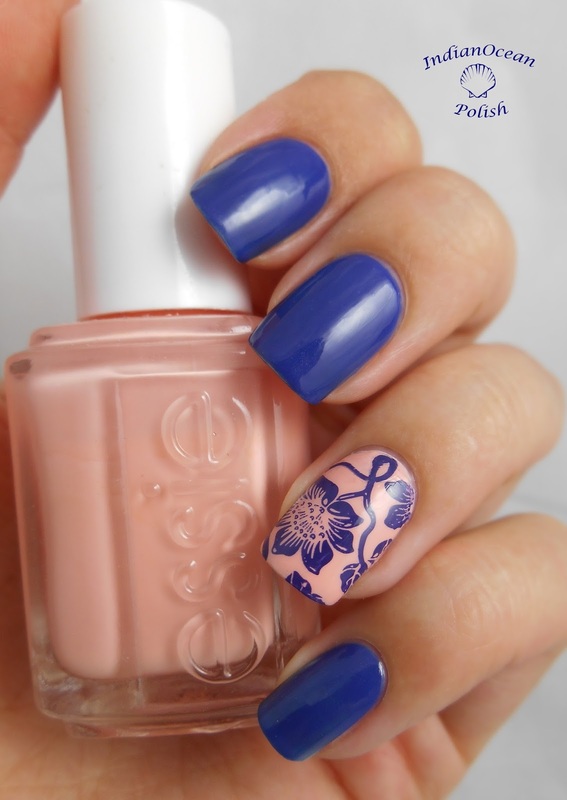 Therefore, it’s incredibly easy to cover the entire nail because it just contours around your nail. You can just line up the design and squish your nail right onto the stamp (see below). If the design doesn't require a particular orientation you can even just squish it directly onto your nail without rolling. It's also good for smaller designs (like the Konad plate full images and gals plates). With these smaller full nail designs I have trouble lining up the design so it covers the whole nail when I use the Konad stamp as you need to roll the stamp from one side of your nail to the other. 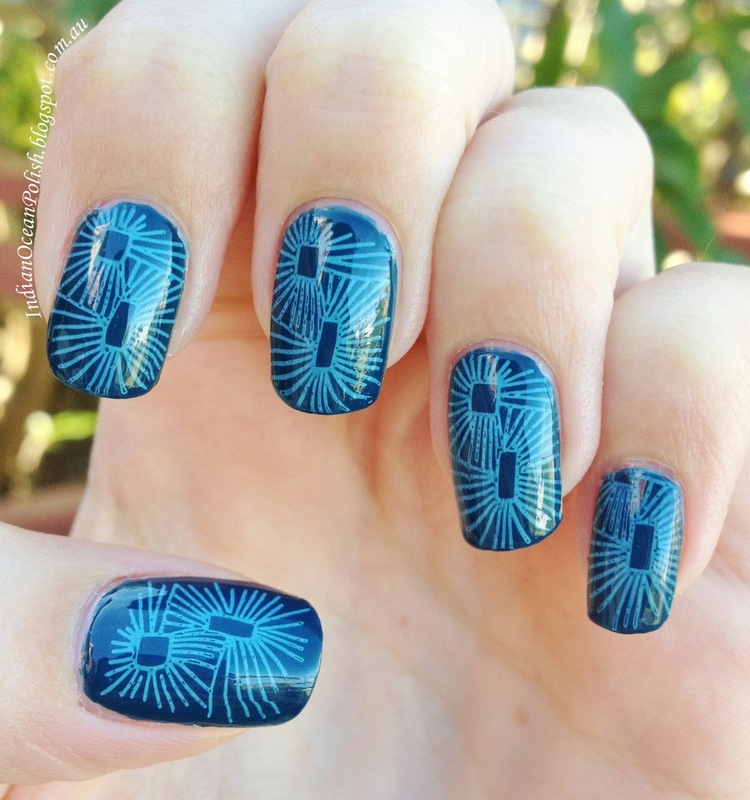 With the XL stamp you can just line up the image at the top of your nail and then squish it on like in the picture. The reason I don't always use this stamper, is that it seems to leave hollow bits in the image, so it just doesn't look as good as when you use the Konad stamper which always picks the image up perfectly for me (see image below). See the little hollow bits in the houses on the bottom left? Also, with some image plates/designs, this stamper just won't pick the designs up at all! I think it is when the designs aren't etched deep enough into the plate (With most of the images on XL-A, XL-B and XL-D I have this issue). The Konad stamper is much better at picking up the designs from these plates. And one last issue.... when you first get the XL-Stamper it is so smooth and shiny that it won't pick the images up and requires filing to roughen the surface. The first one that I bought, I over-filed (it was easy to do with this stamper) and always had small cracks or lines in the images I stamped. I had to buy a new one and with that I was much more careful and got it working..... It's a fine line between over-filing and being too smooth to pick up images. Make sure you use a very light file (non-coarse). Since I started nail stamping a few years ago, it's really taken off and there are new plates coming out every month from many different companies. These are the plates that I own, and my opinions on them. There are many many more out there that I haven't tried. I listed all the others that I don't own below with links to online stores that carry them. Some stamping plates come as small circular disks, usually with 5 images per plate. Others come as large A5 plates with approximately 40-50 images per plate. I prefer the large A5 plates as they are easier to store, and choose between multiply designs at the same time. When you have more than a few of the smaller circle plates, storage become an issue, but you can purchase holders for them here or here which are similar to CD wallets. If you are trying stamping out for the first time I would recommend the Cheeky Jumbo Plates (2013 collection) as they are easy to get a hold of, cheap with free shipping and have large sized images for easy alignment on the nail. I have heard that the bundle monster 2011 and 2012 collections are also very good, however as I only own the 2010 collection I can't personally vouch for them. I would avoid the 2010 collection as they full size images are very tiny. 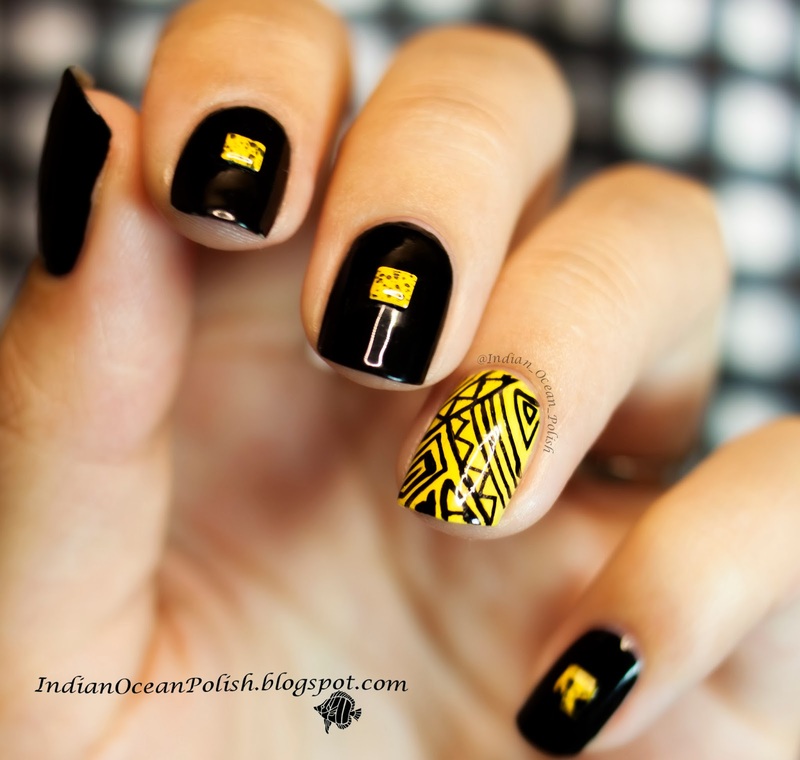 Full nail designs - these have a design that covers the whole nail. Sometimes there can be issues with these not being large enough to cover your whole nail. I will mention this where applicable in my reviews. Small image designs (for lack of a better name) - These are usually small flowers, animals, abstract designs etc that can be used as an accent. Tip stamps- These are used to create a french manicure look - I'm not a fan so don't have an example I can show you! Sometimes the full nail designs will have an inward curve on one side so they can be used for french manicures. I think the XL plates (excluding XL-A, XL-B and XL-D) and the big SDP plates are better quality, however they are more expensive and you generally need to order a few things to make the shipping worthwhile - best to wait until your sure it's a hobby/look you enjoy. It's very easy to pick up a clean crisp image on the stamper using these plates, but the full nail images are just too small!!!! It's very hard to align them to your nail (for me they are exactly the width of my nails, and they thumb is too thin), and if you have long nails they will be too short. However, I'm told they recently bought out a few new plates that have much larger image sizes M89-M97. They do also have an extensive range of non-full size images- ie flowers and fruit by themselves, and of course you won't have the issue of them not fitting your nails. I first learnt nail stamping using these plates and after only a few trials I could stamp the images very well, except for the full nail images as I couldn't line them up. There seems to be a differing quality between the plates and also sizes. I have found that some of the images on XL-A, XL-B and XL-D are not etched deep enough, and I have trouble stamping with them (XL-D is a really unique plate though, so I continue trying to use it!). The others that I own (XL-C, XL-F, XL-N, XL-M, XL-O, and my friend has XL-L) are all really wonderful quality and fit my nails easily. As I said they are different sizes. The designs on XL-L, XL-M and XL-O are really huge. Some designs on these plates are actually too big, and a lot of the design is wasted (They need to be scaled down- ie still a large size to fit the nail, but the actual image could be smaller and more detailed). I still highly recommend them though. The XL-N might be too short if you have really long nails, but I don't have any problems. Here are links to pages containing images with the following labels: XL-A, XL-B, XL-C, XL-D, XL-F, XL-O, XL-N. These are available at Dashica Beauty Shop for 14 EUR each and there are 29 different plates (A-Z, A2-C2). They are the large A5 sized plates, with 42 full nail images per plate. I own Big SDP A, O, M, J, and I. They are all really detailed and the designs are etched deep enough that they are very easy to use. The image sizes are also large, so it's very easy to use the full nail designs, and they are scaled well to suit the nail (ie you get plenty of detail from the design on the nail). If you buy multiple plates there are some designs that are similar to others on other plates, but no actual repeats. I feel like each image has been designed with care, and they haven't added a whole bunch of chunky un-detailed designs to beef up the plates. These don't seem to be very well known, maybe as they are a little pricey and only available through one European website (as far as I know). Despite this, I highly recommend them. The Cheeky jumbo plates are available on Amazon for $11.99 US (free shipping in the US, but I payed about $5.00 to Australia), or from Cheeky's online store here for $11.00 US with free shipping worldwide (They are the ones with coloured checker backings. These are large A5 sized plates with 35 full nail designs and 28 small designs. I really love this collection of 10 plates, and they are in my opinion the best value for money plates I own. I own the Happy, European Romance, Home Sweet home and Viva Mexico plates from this collection. I have heard reports that some images are not etched deep enough, but it's not a problem I have come across, they all stamp beautifully for me. There are some really beautiful designs on these plates, I especially love the uniqueness of the Viva Mexico plates (almost none of the images are similar to anything I have on other plates). Some images are really detailed, but some are a bit basic and chunky, perhaps they were trying to fill up space. But for the price I don't mind so much to pay to get the images that I do really like. Something I especially enjoy about these plates is that there is both full nail images and small images (well for all but the happy plate which has only full nail designs). Many of the small images compliment the larger designs. I'm so keen to try a feature nail with the full design and then just have a smaller accent on the other nails. - I'm sure you will see this on my blog soon! There are now 5 collections available by Bundle monster: 2010, 2011, 2012 and Holiday collections which cost between $17.99 and $21.99 USD. The shipping costs are here. It's $8.50 to most countries outside the US and Canada and free for standard shipping in the US. They are round plates with approximately 5 images per plate. Also they now sell every plate individually as well as in the sets (as of October 2013). The single image plates are going for $1.99US. I'm so happy about this as there are a few plates from the other collections that I have wanted for ages and couldn't justify buying the whole set for. So as I said further up the page I only own the 2010 collection of bundle monster plates. The small designs in the 2010 collection are pretty cute, and there is whole plates dedicated to holidays such as Halloween and Christmas. They all stamp without any issues. However, the full nail designs are tiny. They don't even fit on my pinky. I found a way to use them here though hoorah, by taping my nails. Because of this, I would avoid purchasing the original bundle monster 2010 collection......However!! !- they have just released a re-vamped 2010 plate collection and have re sized all of the full nail images! Hoorah. This set also has tip designs which are little half moon shapes for french type manicures. To be honest, I'm not a fan of this type of design and If I'm going to do tip stamping I'll tape off my nail and use a full design anyway, rather than trying to line it up. Now the 2011 and 2013 collections have a very good reputation, and they are priced decently. I'm sure I'll get them one day. They are apparently much larger, and therefore fit on your nail. So far there are 2 sets of Gals plates (they are made by Cheeky Beauty), the Fairy for $15.99 USD (which I own) and the Princess for $12.99 USD. Shipping is free worldwide. The Fairy set is made up of more floral and exciting designs (in my opinion), and the Princess set has more geometric patterns. They are round plates with 4 full sized images per plate, and 2 small images. I do really like the Gals Fairy plates, but the full size images which dominate the set are a bit too short when my nails are long (they are wide enough however unlike the original Konads). They are 1.6cm long, however they have a inward curve on one side for french manicures, so the real length is only 1.4cm. There is some really pretty designs in this set though, so I just have to use them when my nails are short, and use the small designs. Most of the images stamp well, however I have had trouble with one of them (and as I haven't tried every design I'm sure that means there would be others). These are available from Magno Nails and there are currently 60 round plates with 5 or more designs per plate available separately or in sets. (4.25EUR per round plate). There are pretty unique designs in this series of stamping plates, and the 3 that I own have nice large full nail images and all stamp really easily and clearly. They don't seen to have a uniform size between the different plates that I own however....so I won't put the sizes here to avoid confusion. I now own 13 of the MoYou London plates, which probably tells you a lot about how much I like them! Original = 15mm/11.5mm with 18 images per plate. XL= 15mm/21mm with 12 full nail images per plate. Ok....and here is the current list of my MoYou Stash! I have found that the images are picked up easily and almost all of them have stamped crisply. So far I haven't had a plate with any flaws in the etchings. The designs are all really unique and many are beautifully detailed. Some of the designs have very fine detailing and you will need to be careful when stamping them as not to smudge and lose the smaller details. 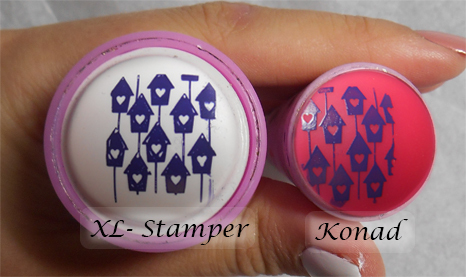 I recommend using the harder konad stamper for these and pressing lightly as you roll the stamper over your nail. If you make a mistake remember that 70-100% ethanol will remove wet nail polish while leaving the dried polish alone! Anyway- please don't let my tiny problems deter you from these plates as they really are beautiful and unique, and there are so many to choose from. I'm just trying to be thorough! I have put in 3 orders in 2 months.....that says a lot I think! Also please let me know if there are any I have missed! Red Angel available on amazon. petlaplate. These designs look very fine and beautiful. Comment if you have tried them! I measured the full size images on all of the plates that I own and made a chart (The ones I personally measured are in black). I then did some research and added some other sizes from plates I don't own. The references are below the chart. Hopefully this chart will help anyone with large nails, be they long or wide, find big enough stamping plates! Please note that the diagrams are not perfectly to scale. Read the measurements! MoYou London sizes are under their review above for now! Thanks for posting! I am really keen to get my hands on some messy mansion plates. I love the one with all the birds! Oh wow, looking through all their plates for sale. I think they might be my favorite I've ever seen!! I'm going to have trouble restraining myself from spending hundreds of dollars! Argh! This an excellent article! Thanks for the great info! I just used a plate by Pueen and was so impressed! The designs are etched deep so the pattern transfers perfectly! The Bundle Monster plate was not as good but because the designs are so beautiful I'm going to find a nail posh the works on that plate! I used nail polish by Konad and top coat by Seche Vite. I think the Suki plates might be my favorites, but it's hard! I guess Ill be able to make a better decision once they arrive! I don't think I've ever been so excited about stamping plates! They are so unique and interesting- I love the plates with just one huge image where you can chose all different parts of the image to stamp. How about you- Which are your favorites? I have tried most of them and they stamp really well. I wouldn't say I have very short or small nails either. Great post. 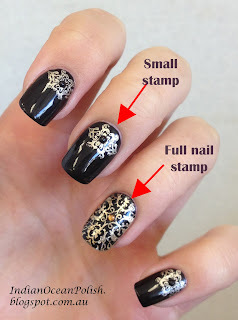 It is so detailed and really helpful for someone looking for stamping. I'm so glad you like it! Feel free to ask me anything if you have questions! Which plate is the one with the bird houses from? I love that image! It is a good posting.Their stamping plates are very good quality although a little pricey and it is easy to use. Hi, thank you very much. I was searching everywhere for proper size comparisons and that image really helps! Such a good posting! That really help us to prevent our natural nail.And most important thing we master the nail stamping. Great post! 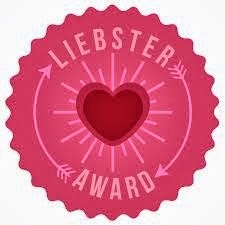 I just ordered the Winstonia plates as my first try for stamping and it was not working for me. I did not know about filing your stamper so I will try that and also I used OPI Black onyx and that might also be why my stamping is not working lol. Thanks so much for the helpful information. Hopefully you get to try out the winstonia plates and do a full detailed review I would love to see that. Thank you. Very good post! Good information. Thanks for taking the time to post all this. Ty out really helped me. Good post...I had a question ...recently I bought gadget heros salon series nail art kit..and I tried it with normal nail polish I didnt get it well..is I need to buy special nail polish ..? Is this company gadget heros is good or not..may I know the reason.. I recently bought a gadget heros salon series nail art kit..this doesn't work well with me..I used normal nail polish..may I know the details about this company..is it good.. Unfortunately I haven't had the fortune (or misfortune) of trying out the gadget heros nail art kits. I would highly recommend giving the konad special stamping polish a try though (the white is a good starting point). Make sure you work quickly or your polish may dry out before it can be picked up on the stamper too - this might take practice. What stamper are you using? Your post is very complete, it took me so much time 2 years ago to find out how to stamp properly and I apply almost every tip you mention. I've tried Cici&Sisi, Pueen, and Handy. Cici&Sisi designs are extra beautiful, there are 2 collections, there are 6 plates in each collection, each plate has both full nail and small designs, full nail is really full nail. Stamping quality is great. Pueen has 4 collections, I've got 2. Full nail designs are just enough for full nail, but not too long nails (about 1.5 cm or less). Encore and Buffet collections are full plate design collections. Quality is also great. Handy has full nail, which are pretty small actually, small, and full plate designs. I've just bought them, so I only tried 2 plates, both proved to be top quality. I love the Hello Kitty and cartoon designs. Their brass plates are gorgeous! Wow thanks so much for this post! A little story to tell you just how impacting it was for me! For sure! I always do that as seche vite makes the polish dry a lot faster. What about born pretty nail plates?!!!!!! Love the page. Thanks for all the details. AFL Grand Final Nails! Go Freo!